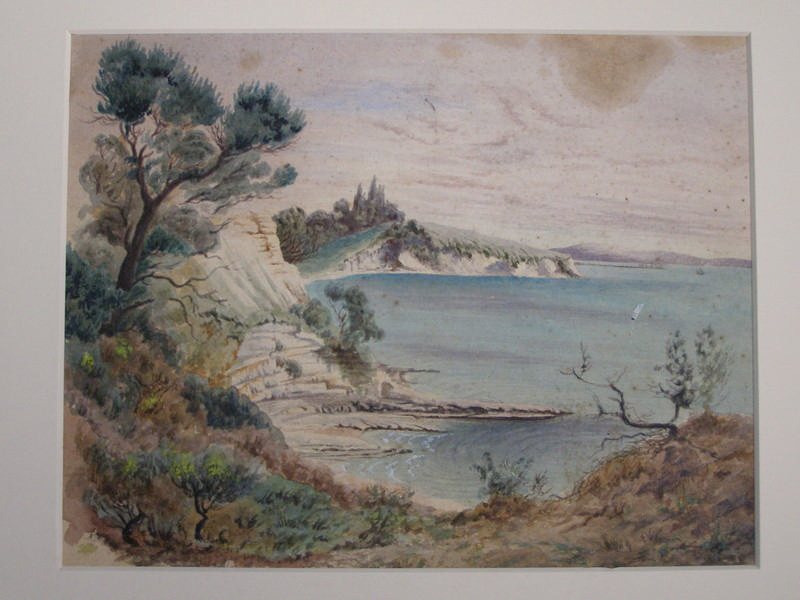 Watercolour of a bay with surrounding trees and scrub. Reverse shows unfinished pencil sketches of birds. 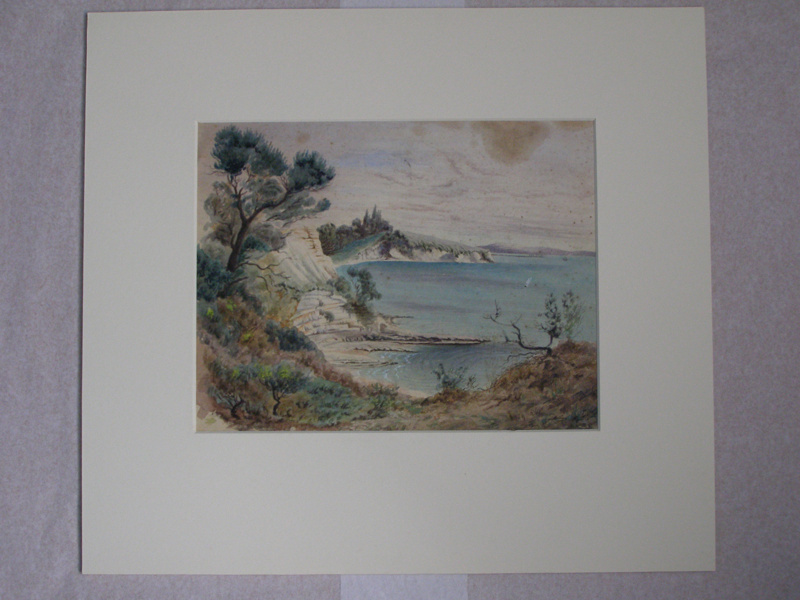 On reverse of boards: '1998.9 By Col Morrow'.